We actually decided to come to Taléo to try one dish, their pastel de tres leches. It's a dessert we first encountered at Gulfstream in Newport, one that has quickly become one of our favorites. 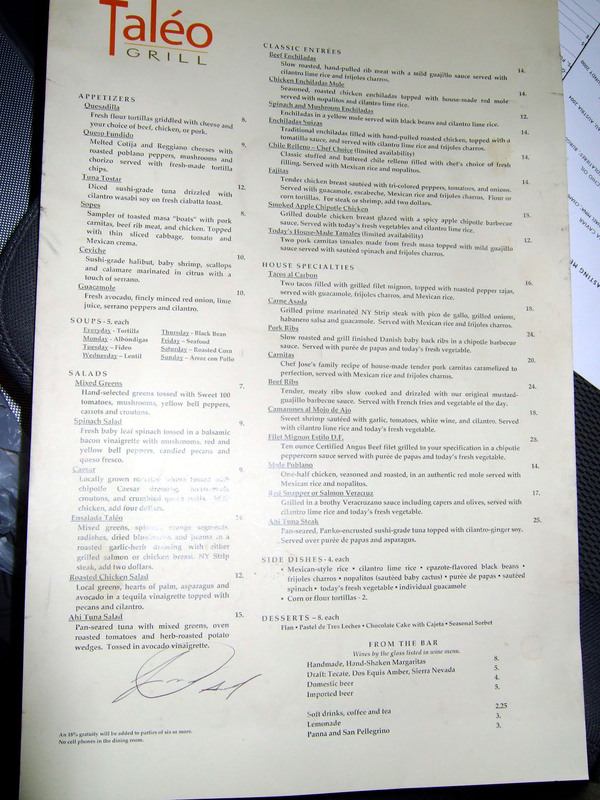 Could any restaurant's possibly come close to Gulfstream's? 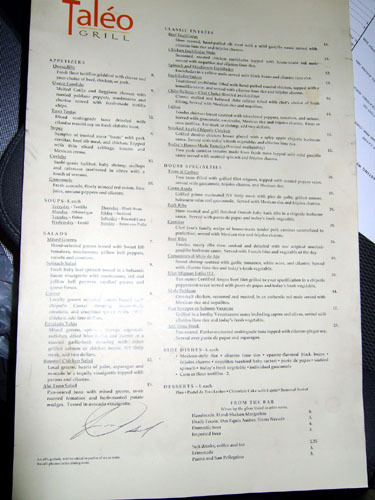 We have here the specials and regular menus (signed by Chef Acevedo). Click for larger versions. 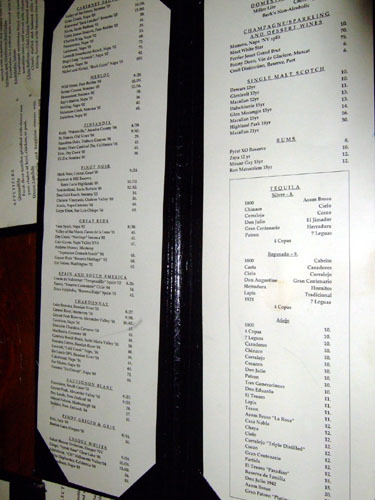 On the left we have Taléo's drink menu (click for larger version). 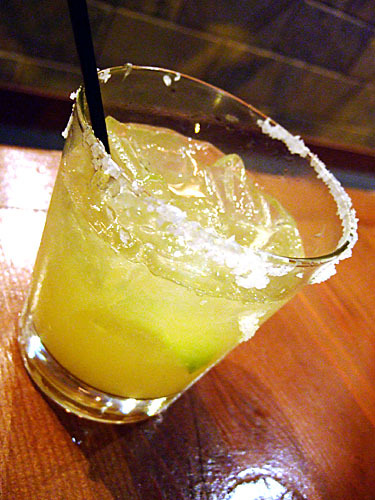 Apparently, the restaurant is known for their margaritas, so we decided to order up three ("Cadillac" style with Grand Marnier), one each with Corazon, Patrón, and Don Julio (I believe that's what it was). We unanimously preferred the Don Julio. 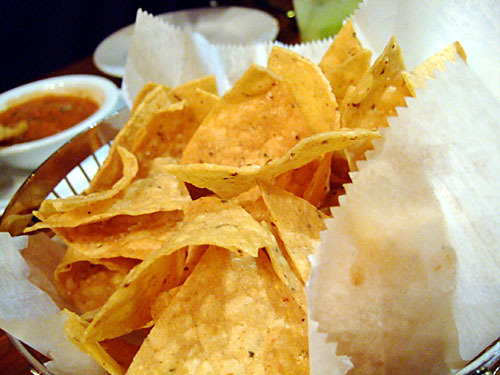 Complementary chips served with two salsas. The less spicy one is shown. 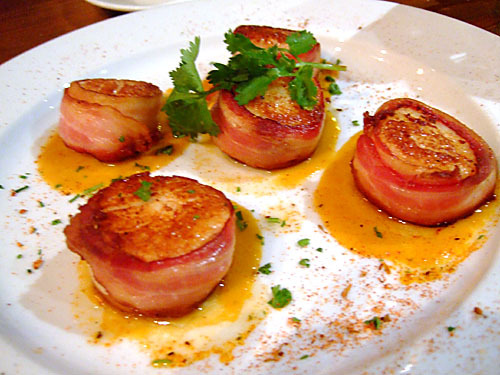 Pan seared, bacon-wrapped jumbo sea scallops in a chipotle peppercorn sauce. 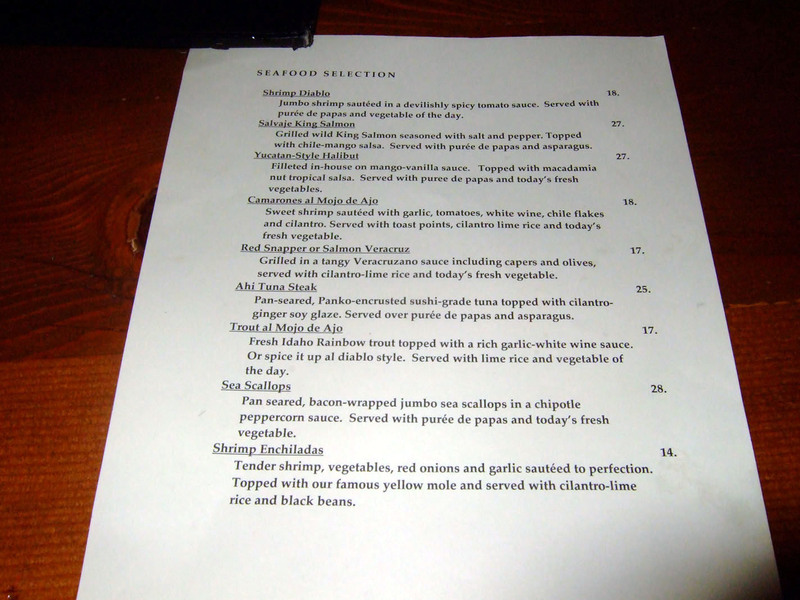 This was originally a special entrée that they made into an appetizer on our request. The scallops were well cooked, giving them a firm yet pliant texture. The bacon added a nice bit of saltiness. 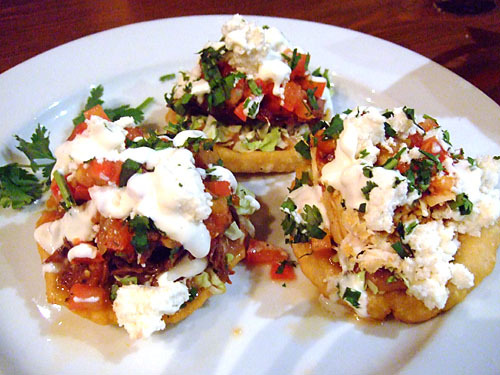 Sampler of toasted masa "boats" with pork carnitas, beef rib meat, and chicken. Topped with thin sliced cabbage, tomato and Mexican crema. 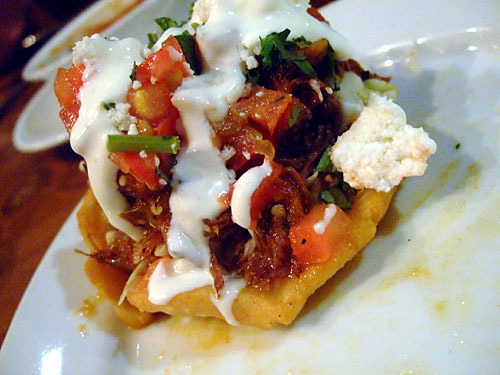 Actually my first experience with sopes, I ended up with the pork I believe. Tasty. 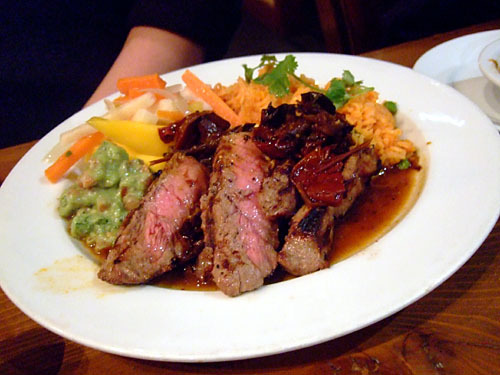 Grilled prime marinated NY Strip steak with pico de gallo, grilled onions, habanero salsa and guacamole. 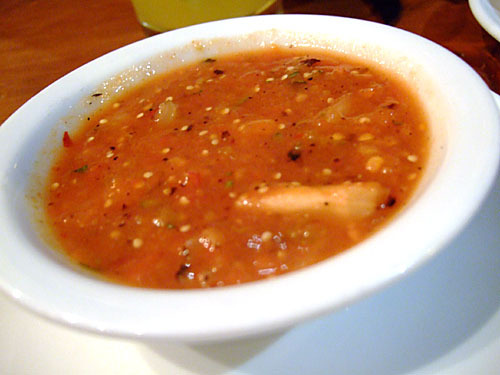 Served with Mexican rice and frijoles charros. 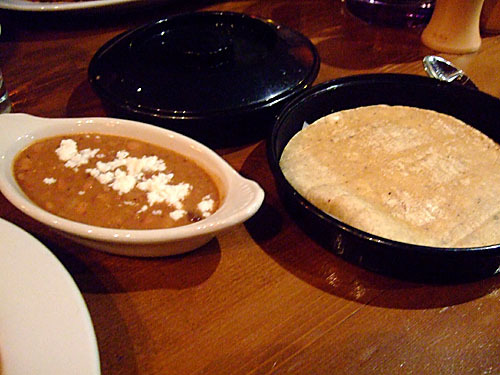 All the entrees came with beans and tortillas. 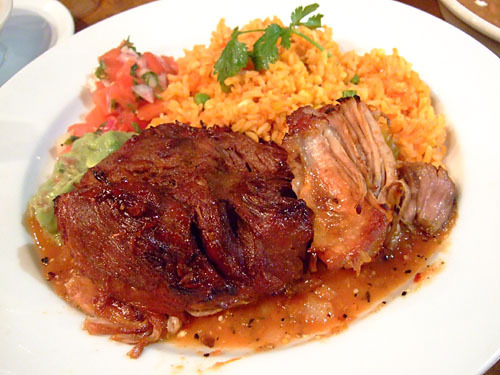 Chef Jose's family recipe of house-made tender pork carnitas caramelized to perfection, served with Mexican rice and frijoles charros. This was my entrée. I was a bit let down, as I had heard that this was Taléo's signature item, so I had very high expectations. 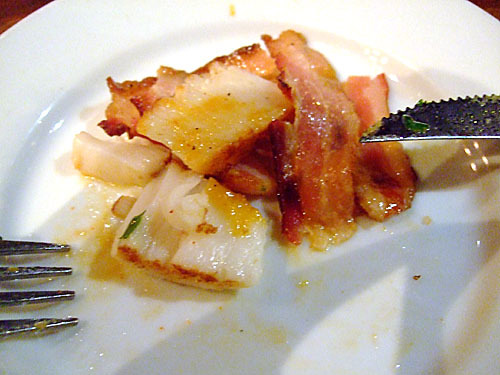 Taste was good, it was mainly the texture that bothered me; it was too tender, I would've preferred it a bit firmer. 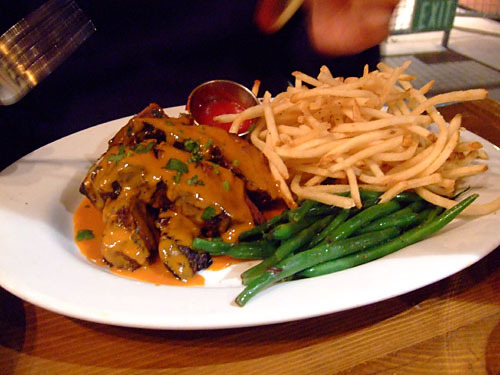 Tender, meaty ribs slow cooked and drizzled with our original mustard-guajillo barbeque sauce. Served with French fries and vegetable of the day. This was an experimental item, boneless ribs, since the restaurant had run out of the beef ribs my dining companion ordered originally. 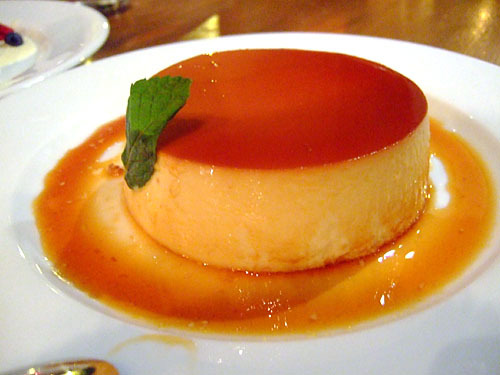 A really big flan, or crème caramel as they tend to say in Europe. It was quite tasty though, with rich, creamy custard and nice layer of caramel on top. Finally we get to what we came for. 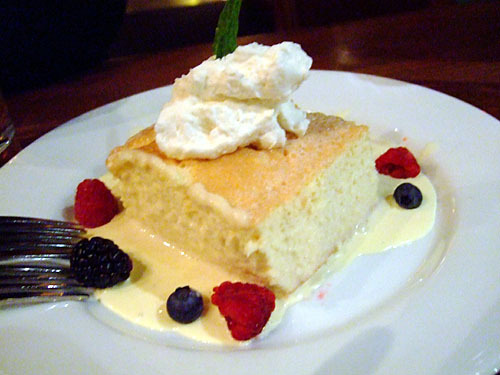 Tres leches is basically cake soaked in evaporated milk, condensed milk, and either whole milk or cream. I'm glad to say it was comparable to that at Gulfstream: sweet, creamy, delicious. 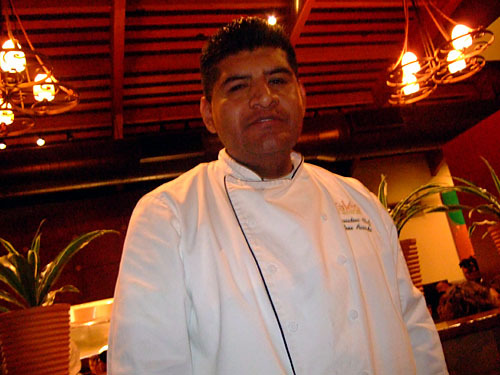 Executive Chef Jose Acevedo, as he came out to sign my menu. Green items ache been placed for the success and discussion for the individuals. All the chips have been accounted for the reflections and all available items for the people. The punctuations have been regarded for the use of the norms for the humans. thanks this is good blog. Coleman Roadtrip lxe vs lxx – Which Grill is Better?